l Auto-cooling system works within one minute of powering off, prolonging the life of the heating core and handle. 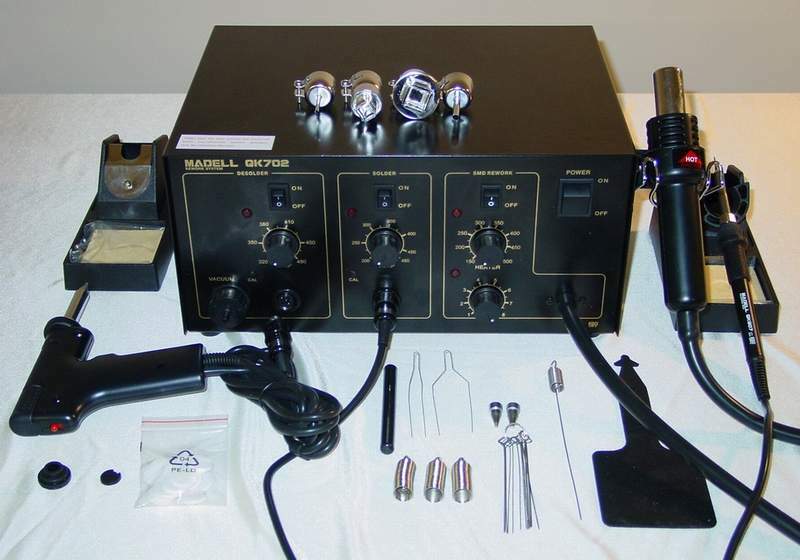 This is 3-in-1 rework station includes a hot air gun, a soldering iron and a desoldering gun. l Soldering iron temperature: 200°C-480°C. l Hotair guy pump: diaphragm, 24L/min. 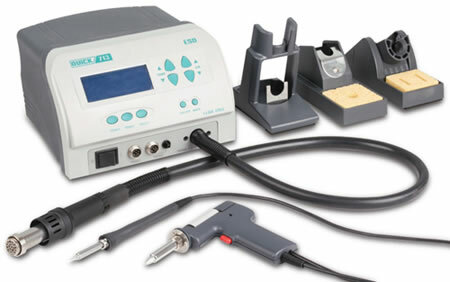 l Desoldering gun temperature: 320°C-480°C. l Desoldering gun pump: diaphragm, 1.5L/miin. l Four hot air nozzles included, A1124, A1125, A1126, A1130. l 110V power supply. 220V model also available. l Easy-to-use password locking function. lTemperature adjustable by buttons, with auto-sleep and shut-off function. l Suction pen inside hot air handle. l Brushless fan, adjustable, stepless, with wide range of air volume, suitable for various occasions. l Large air volume cooling function with long lifetime heating element. The hot air handle is protected. l Built-in vacuum pump, powerful suction, with no need for external vacuum system. l Closed loop of sensor, precise temperature. l Light handle is comfortable for use. 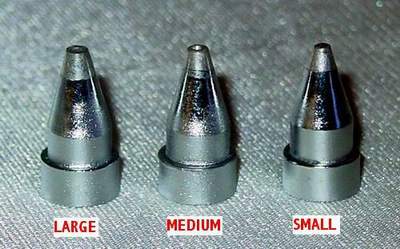 Hot air nozzles and solder iron tips can be purchased here.